There is a New Message from God for the individual, and there is a New Message from God for the entire world. It is here now. Honor then the one who has come to bring the New Message into the world. He is a humble man. He has developed the wisdom necessary to undertake such a great role, and he has been sent into the world for this purpose. Receive him. Understand him. Yet do not exalt him. He is not a god. He is a Messenger bringing the New Message from God into the world. This is the time now. This is the great opportunity. This is the answer to people’s prayers all around the world—prayers through every religion, through every nation and culture, prayers for wisdom, strength, unity, freedom and deliverance. Passage from “The Proclamation“. 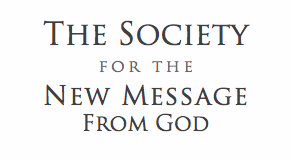 The New Message is here and the Messenger is in the world. You are living at a time of Revelation.